Everything for me is mood based, music, film, television and yes, books. There are times where I want to hear some head-banging music and there are times when I want to here melancholy, somber material. There are times where I want to watch a documentary about some social-political problem and there are times where I want to watch a B-level horror film. There are times when I want to watch a sitcom and times where I want to watch a heavy-thinker drama. 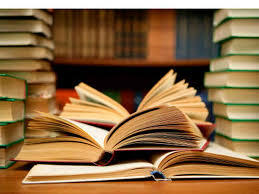 There are times when I want to read true crime or a social-political or biographical nonfiction book and there are times when I want to read an escapist work of fiction, sci-fi, thriller, action, high-tech, whatever the case. In other words, it depends on the day and it’s always hard to predict. But the main takeaway is that my tastes are far and wide. There isn’t much on the spectrum I’m not into. You just gotta give it to me on the right day. That’s the catch.